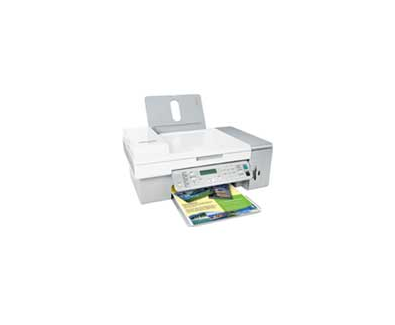 The Lexmark X5470 All-in-One with Fax and Photo features fast print speeds, versatile functionality and brilliant photo quality in one sleek design. * Printing in draft mode and excluding time to first page feed. **Copied in draft mode and excludes time to complete first page. 인치 - H x W x D): 11.7 x 17.9 x 20.5 in.